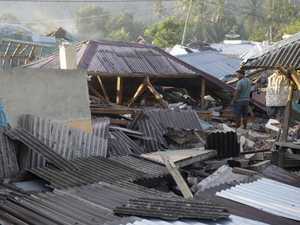 THE Indonesian island of Lombok was rattled by another powerful earthquake, making it the third big quake to hit the island in just over a week. 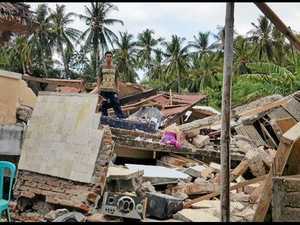 The death toll for the earthquakes is believed to have topped 300, with the latest 5.8 magnitude quake further damaging buildings and causing panic. Two deaths have been confirmed as the result of the latest tremor, after it brought down an elderly couple's home while they were still inside. 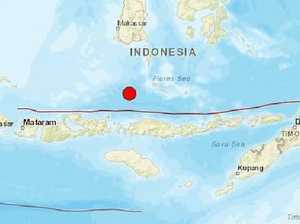 The quake affected the northeast side of the island and didn't have potential to cause a tsunami, Indonesia's geological agency said. It is likely the death toll will continue to rise as rescue workers are still finding victims among the rubble and some people who are already buried are not yet included in the official toll.